Our updated fittings for the CJM 350z/G35 Twin Pump are available for purchasing as an upgrade to older twin pumps. 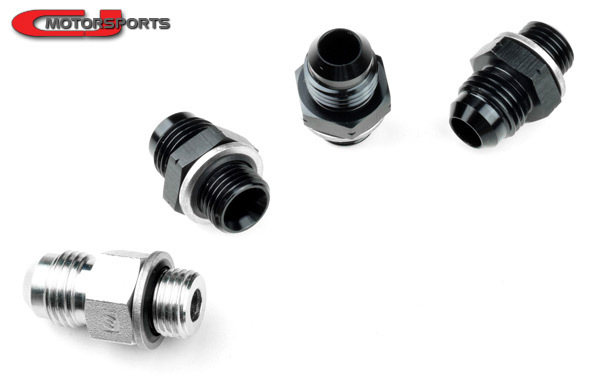 These custom made aluminum fittings have a larger inside diameter with a smooth transition inlet and shorter height than our previous off-the-shelf steel fittings. Swapping out will achieve slightly improved flow and 0.20" improved chassis clearance at the fuel pump access panel area. 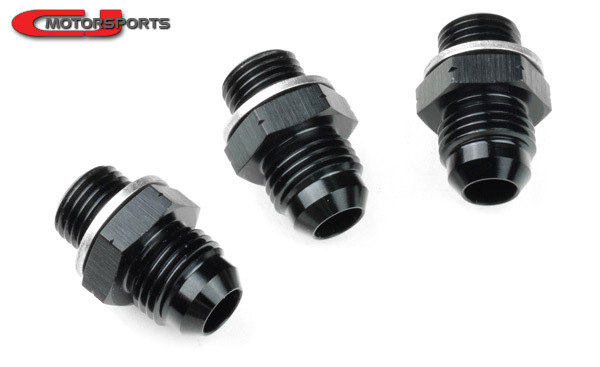 Includes a set of 3 fittings with seal washers.